Make a Plan. Make a Difference. Create a Legacy. Making a gift of estate assets can be simple to do and will provide lasting support for the Wisconsin Historical Society’s efforts to connect people to history. We invite you to join the Robert B.L. Murphy Legacy Circle—an extraordinary group of individuals who have chosen to support the Wisconsin Historical Society through an estate gift. Through your willingness to give, you can make history your legacy. A common way to make a legacy gift is through a bequest. When you have the opportunity, please consider the Wisconsin Historical Foundation, Inc. as a beneficiary of your will, life insurance policy, charitable trust or retirement assets. The Wisconsin Historical Foundation may also accept gifts of real estate or facilitate life-income producing gifts. In his lifetime, Robert B.L. 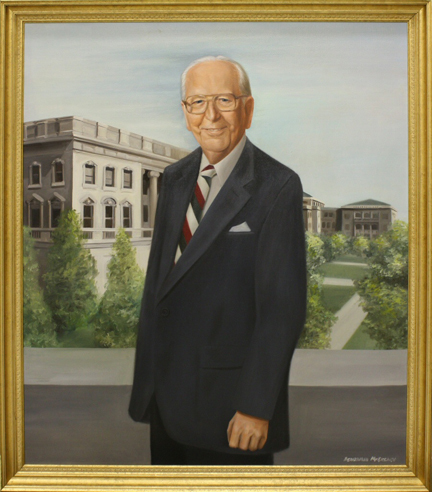 Murphy was a lifelong Wisconsin Historical Society benefactor, and his legacy lives on through a generous planned gift. The Robert B.L. Murphy Legacy Circle was created to honor his many contributions as a leader of the Society and to recognize individuals who have included the Society in their estate plans. Members of the Murphy Legacy Circle are a distinguished group of supporters, and we deeply value their lasting contributions. To learn more or join, contact Julie Lussier, Director of Development, at 608-261-9587 or by email at julie.lussier@wisconsinhistory.org. Do you have questions about planned giving or the Robert B.L. Murphy Legacy Circle? We're here to help!